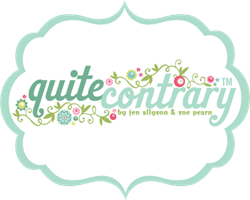 My Mind's Eye: Quite Contrary & a Give-away! My Mind's Eye has always been a company that I have enjoyed. I love the crazy amounts of paper and embellishments that come with each collection. Just so fun! With Quite Contrary nothing changed. SO fun and SO versatile. Both boy and girl themed! FAB. So let's begin shall we? 1. I love the double sided paper. Gives you so much value for your money. 2. I love the weight of the paper. Cardstock weight is much preferred over text weight. 3. So many tight wonderful patterns! 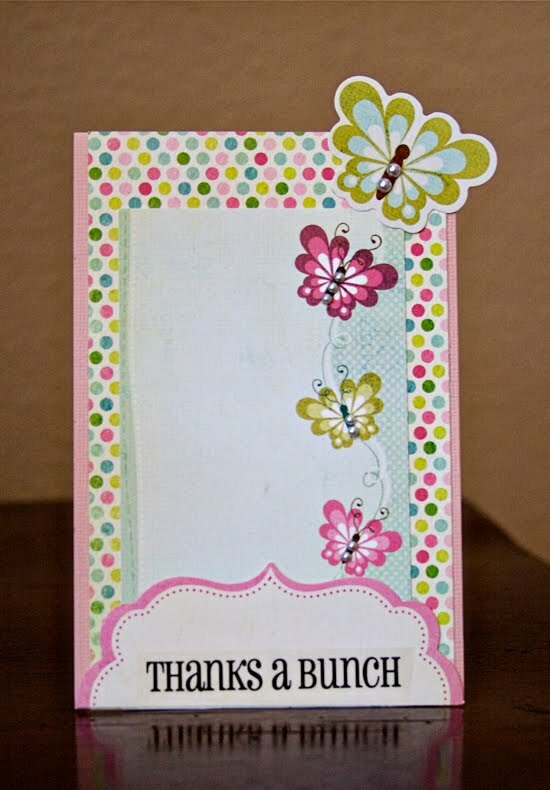 A card maker's delight! 1. I really like some of the patterns but would have liked to see them in girl colors their cute owl paper for example. What do you think? Is the "quite" what you are looking for or "contrary" to what you want? Leave a comment by midnight EST on Thursday to be entered to win a Quite Contrary prize pack from My Mind's Eye! I love MME, the weight of the paper alone is reason to buy this line. I love what you've done w/ this collection. I always love MME! Beautiful colors, great embellishments and coordinating items, and they have a wide application. Great stuff! The papers are beautiful! And I agree the paper weight and double side is great with MME! My favorite thing about the My Mind's Eye collections are all the journaling blocks and embellishments that coordinate with the papers. I love it when my journaling feels more like part of the layout! I love the colors and the patterns; I love using lots of colors in my layouts so this is perfect. MME double sided papers open up the doors for sooo many crafting possibilities - love the projects you posted, esp. the last one! Looks great to me. Thanks for a chance to win some. MME is awesome..love the patterns & definately the double sided aspect! I have always been a fan of mme. I am a contrary type of person sometimes! But mostly quiet! From looking at your projects, I think the collection looks gorgeous! Love your layout! I love this collection. The patterns are great and the weight of the paper is fabulous. so cute! love those polka dots! This is one of my favourite lines of paper (by any manufacturer) ever. For most of them I love both patterns (on either side of each paper). It is really beautiful and great for all different kinds of pages. Also I like the weight of the paper--heavy enough to use as base cardstock, which I like to do with the more subtle patterns. It's a bit more girly than I normally buy (since I have a son), but it would be fun for those rare projects I do for friends with girls! Thanks for the chance to win. I love MME. Your page and cards are awesome. Love them. Love the double sided paper! The layout is lovely! Thanks for the chance to win! I love MME products. I love the color combinations, the embellishments that go along with each line, and the paper is wonderful, nice and thick and double-sided!!! I always love MME, but I adore this line. I love the colors, the patterns, everything! Their paper is great. I really like the Jack & Jill group of this collection. I'm loving every PP of this line, I have a few of those from different kit and am enjoying them. I adore MME and this collection in particular! I love everything MME and this collection is no exception! I really love the die-cut sheets! I agree - love MME! Who could be so contrary as to not love "Quite Contrary"? Great projects too! I LOVE this line!! Would soooo love to win some! I think this line is fantastic! Love the patterns on these papers and being double sided is a bonus. These are all so fun!! LOVE MME! I always tell myself that I DO NOT need anymore, but always wind up buying it. Too hard to resist! Very cute! I always love the weight of MME papers! These look really fun! Love the line. It's so bright and cheery. Thanks for the chance to win. LOVE this line - the colors are to die for! Bright and cheery - patterns are versatile and not over the top. Yes, the thicker stock is always worth the $! Went to the LSS with dd and she picked up a few sheets. loved them and now regretting that I didn't get some for myself. this is a Fabulous collection - I am a MME fan anyways - but I love the colors and patterns in this collection!! I love MME products....always great quality..a real value for the $. I love your projects.. Can't wait to get some of this line and play with it! Could never be contrary about MME products! Love this line. Thanks for the chance to win. I love MME!!! Their paper is "Quite" what I would like!! The papers are beautiful...love those colors. And I would love to win some My Mind's Eye. When I first saw this line I knew it would be perfect for my little girls baby albums! I adore this collection! Quite right! I am over the moon for MME. Their paper is marvelous. This set is just right for the days we have been having here. Thank you for sharing your wonderful examples. I had the opportunity to work with this collection for a DT project at the LSS. LOVED it! Having only Grandsons the colors worked well. I really like this line. There is a lot of potential for fun pages and cards. I loved the cards you made. I hope I'm lucky enough to win this! ooh, some GORGEOUS busy prints! LOVE IT! they always have such nice matching elements. can't wait to see this in stores! The papers are beautiful. And I always love doublesided, heavy paper! One of my favorite paper companies is MME and I love this line! I LOVE MME. I always have. I can use almost all of their papers even though I don't scrap Girly stuff. This is a wonderful line! I love it! This is another one of those that I've had my eye on. 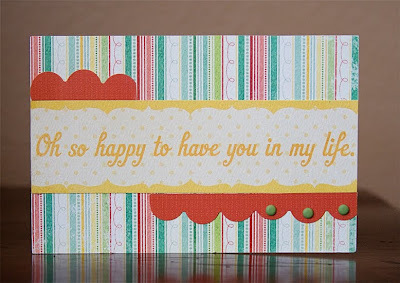 Sometimes MME can be a little too "fancy" or flowery for me, but I LOVE this line! I am always happy with products made with MME - I am running low and keep going back to those patterns in my scrap box! Love the polka dots in this line! Such a pretty line and lovely projects! This line is so adorable! I love MME--they have such cute designs and high quality paper! I always love their stuff, so am looking forward to this line. Great projects you made!! this line is so sweet and i love the colors! Love the weight and texture of MME paper, always have!! Wow, your LO and cards are lovely!!! I love MME, and yes, you CAN make that owl paper into a girly thing...maybe add some lighter colors, show off some ruffled ribbon, and maybe some bling...it CAN work! *smile* Thanks for the chance...love this! Quite Contrary is one of my very fave lines - soo much to mix and match with - and I love the double sides and heavier weight. Boy - would I love to win!!! I always love anything and everything My Minds Eye. The double-sided cardstock always has something that can be used on a layout. I love MME. I would love to win this one. I LOVE MME! Love the weight of the paper and their collections are so adorable! Oooh, so pretty! I love it! I love My Mind's Eye! And, Quite Contrary is a gorgeous collection! Double sided paper is a crafting must have these days! Thanks for an oppty to win! I LOVE MME and can't wait to use their new line!!! I always love MME and absolutely LOVE these colors -they are FAB! I just bought MME "Home" collection and love it. The beautiful bright colors in this package would be fun to win!!!! Gorgeous!! I loooove the colors! I love MME. Each and every line always sparks my creative side. I have been eyeing these papers since they came out at CHA but haven't gotten any of them yet. I would love to win some! I love MME paper! I like what I've seen so far of this line and I can't wait to see more! I love the quality of these papers! I've been eyeing this collection for a while. It looks really cute. This collection is awesome!! I'd love to play and create with these scrappy goodies!! I really like the papers you've shown on your projects. I'd love to see more! Thanks for sharing, and thanks for the chance to win! I love this line! I think it's adorable! And that layout is so sweet! I just wanna squeeze her cute little cheeks! This is one of my all time favorite lines from MME! Love the colors in all 4 collections...endless possibilities! I love the cheerful colors and polka dots. Thanks for sharing. I absolutely love this line! It is so adorable, and I love the quality of the papers too! Thanks for the review--great projects! That little girl is ADORABLE! What an awesome line. I love the projects you created. The page is just adorable, as is the subject. How adorable!! I've always been a fan of MME and you can never have too much of it. Your projects are gorgeous too!!! I love everything MME but they are not easy to find where I live. Their papers are great for making cards & I love the embellishments too. Your cards & layout look great! I love MME and this line is no different! I love the color scheme! This is quite possibly my favorite line EVER, I can't get enough of it! Love the papers and seems like My Minds Eye is my "go to" company. I can always find something from their wide assortment to scrap with. Love My Mind's Eye paper. I love MME too! I think this collection would work great with spring/easter pictures. I love the quality of MME papers - I'm particularly fond on this line! "Mary, Mary quite contrary how does your garden grow? "...this brings strong memories from my childhood! (I didn't see that coming) The papers are beautiful! I love it when the spring papers come out...I'm inspired! Quite! Thanks so much! I love this line so much - I think it is just so pretty and gorgeous - would love to have it in my collection! Always love MME lines - and I too wish some of them would have some more girly colors (as I'm sure some wish they would have more boyish colors!). Wow! Another fabulous MME paper line. Love it! I adore this collection, the color pallette is perfect! I've always been a fan of MME and this is no exception. The colors are simply luscious! Wow! Looks like another stunning collection! I completely agree with you about having more girl papers (I have 3 girls)! Your projects are gorgeous! Thanks for the inspiration and chance to win! This paper is gorgeous!! I can see myself getting the whole line!